This butterfly visited our garden in Southport. 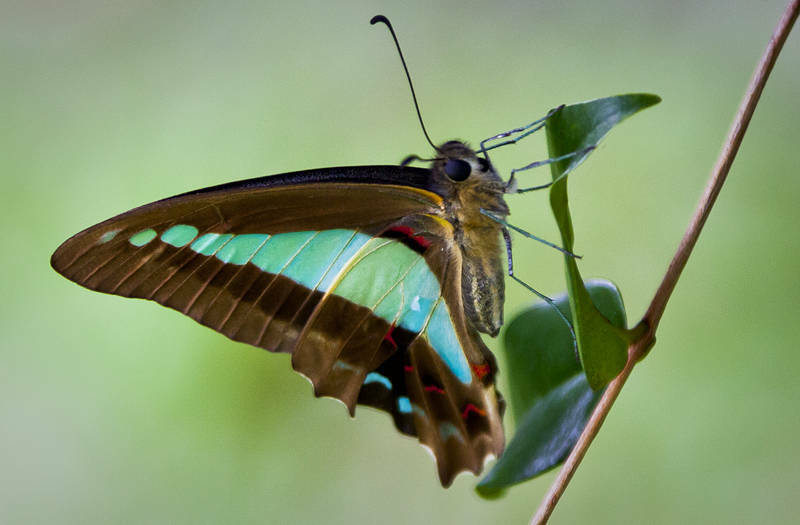 It is a Common Bluebottle, Graphium sarpedon, or Blue Triangle in Australia. They are typically found in low-level rain forests flying just above the tree canopy. Somehow this insect has adapted to drier subtropical environments and are often seen in suburban gardens in Queensland and New South Wales.